the DI100ST2 is the ideal replacement to a traditional 2×2 video wall configuration without any distracting seams. Featuring a 700 nit UHD 4K image, a wide colour gamut, and True Colour calibration, this display features exceptional colour reproduction and uniformity. 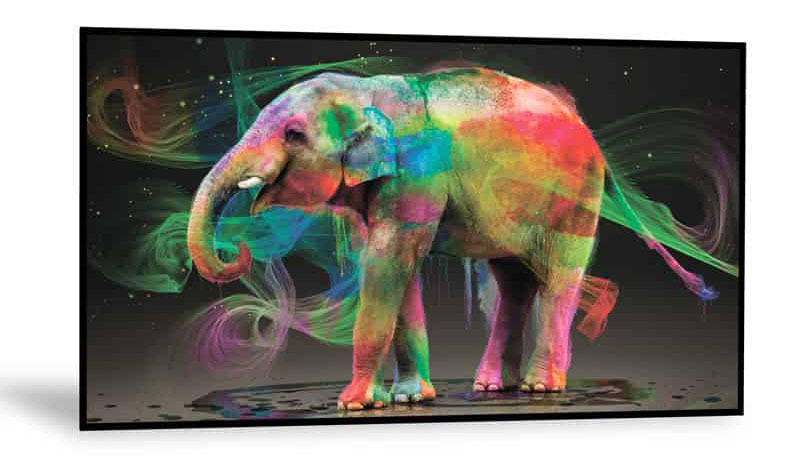 This ultra large format display is perfect for meeting rooms, reception areas and internal digital advertising. The seamless UHD resolution display provides the screen size of a video wall with the simplicity of a single screen installation. No issues with alignment, no bezels breaking up the image, one set of controls and a consistent colour and brightness across the screen. At 700 nits this screen is clearly visible in indoor spaces. The integrated Android™ based media player with Wi-Fi offers users the freedom to select from the array of various media software solutions on the market, or use the bundled DynaScan DSM365 application for local video playback, playlist creation and content scheduling. The DI100ST2 features a unique intelligent thermal management system in which heat generated by the display is radiated away from high temperature areas while a sensor continuously monitors the internal temperature to protect the system from overheating with virtually silent fans. If you are looking for an ultra large video wall replacement screen then contact us for your personalised quotation. We provide the screen only, or with a suitable mounting solution, or with complete installation if required.